I am definitely deep into Christmas design mode. But not everything has to have a Santa hat on it, right? At least, that’s what I keep telling myself. 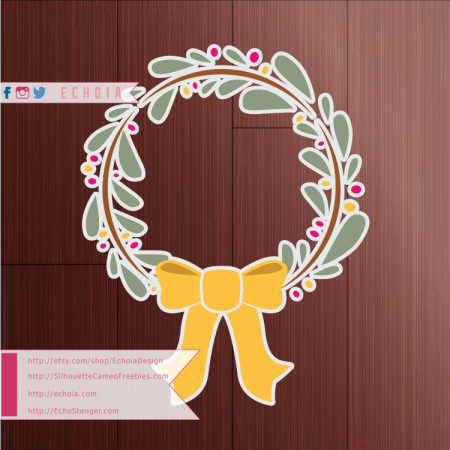 I love wreaths, hand-made and store bought, and also digital. If you’re using this design for your personal projects, all you’ll need is the download below. If you are selling anything with my designs or need additional file formats, however, you’ll need to purchase a license at EchoiaDesign on Etsy.